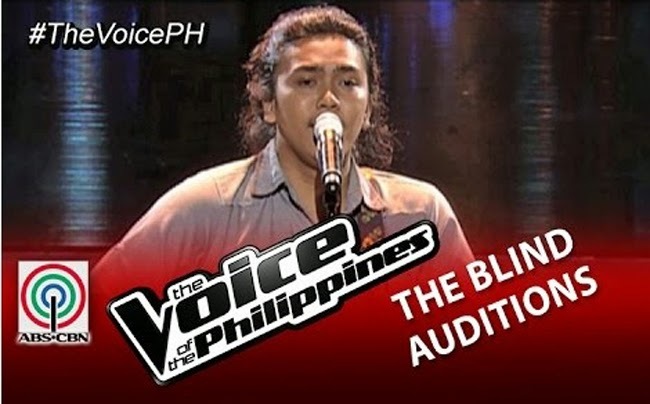 Determined to share his Original Pinoy Music to the Filipino, Rence Lee Rapanot was happy to have a chance in the Blind Audition. Tending to their rice field and breaking his back to work without a carabao because they had resently sold it, Rapanot felt poverty at its deepest meaning. He was surprised to finally reach his dream to be an artist as Luis Manzano broke the news that he can have the chance to impress the four judges of The Voice. ‘Mateo Singko’ is a song that he sung to reach for the coaches. It was Apl De Ap who first turned his chair as the song about poverty reached into him. It is known that Apl grew in a life of poverty before he had a chance to be in US and study. Bamboo and the rest of the coaches turned as the audience cheered for him. He shared to Sarah that he wanted to bring the Filipino song back on track again. Bamboo liked how the story of the song reached to the people. He wanted the people to know about the message and promised to support the artist. Apl called his bestfriend will’I’am and asked him to sing their OPM song which impressed the other judges. He said that he wanted Rapanot to join his team and share the Filipino music to people around the world .Lea loved the way he was able to tell the story in his heart through his song. The song touched the hearts of the listener and Lea was looking for an artist with such an ability. In the end Rapanot picked Bamboo believing that they have the same dreams for the OPM. Bamboo asked him to continue singing the story of the Filipino from his heart just as he had sung with the words ‘mahirap maging mahirap’.